We are honored to be contacted so often by passionate members of our community wanting to organize an event or promotion benefiting breast cancer awareness and research. 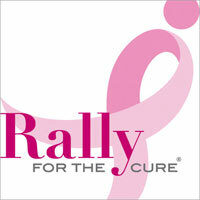 Susan G. Komen® Colorado partners with others because it benefits both parties in terms of public awareness. We want to make this process as simple as possible. In order for us to give each event and/or promotion request its due attention, we ask that if you are interested in entering into an agreement with Komen Colorado, please complete the Event Application or email us.